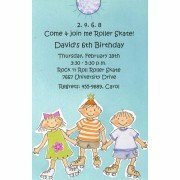 This 5.75" x 8.75" invitation is perfect for a birthday or skating themed party. 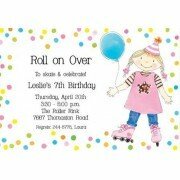 White envelopes .. 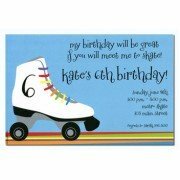 This 5.75" x 8.75" invitation is perfect for birthdays, roller skating parties and more.. 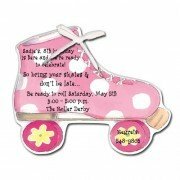 This darling pink polka dotted invitation in the shape of a roller skate offers an embellishment ..
Each package includes 8 fill-in invitations and 8 thank you notes. 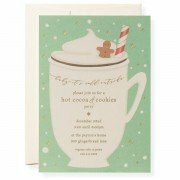 Also included are 8 red envelo.. 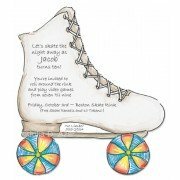 This fun 7" x 10" invitation in the shape of a roller skate comes with interchangeable wheels tha.. 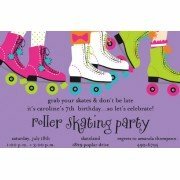 This 5.75" x 8.75" invitation is perfect for birthdays or roller skating parties. White envelopes.. 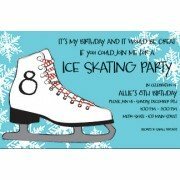 This fun 5.75" x 8.75" invitation features a white figure skate on a blue and white card. The num.. 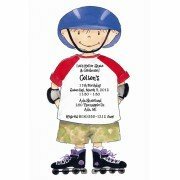 This roller skating boy die cut invitation is perfect for birthdays or roller skating parties. 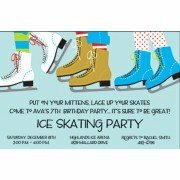 Wh..